The Kingaroy Community Camera Alliance encourages community members and business owners with CCTV systems to register their details on a QPS database. 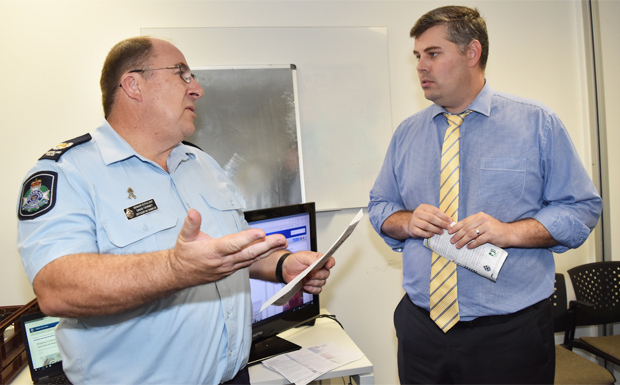 Officer-in-charge of Kingaroy Police, Senior Sergeant David Tierney, said the registration of CCTV systems in Kingaroy could help to prevent crime and make the community safer. “Rest assured this initiative isn’t driven by crime getting out of control and I’m not suggesting everyone rush out and buy home CCTV systems,” Snr Sgt Tierney said. Registration for the Community Camera Alliance is voluntary and those who do register can have their details removed at any time by contacting police. Many Kingaroy businesses already have CCTV systems installed to monitor inside their shops. Some also have systems that keep an eye on nearby footpaths. One businessman at the launch told southburnett.com.au he had already been approached several times by police to view CCTV footage, and he believed this had led to arrests. Murgon and Nanango both have town-wide CCTV camera systems which are monitored by police, the result of funding applications to the Federal Government’s Safer Communities Fund. Wondai Lions Club has applied for a grant of $200,000 under Round 3 of the program to install a similar system in Wondai. The Kingaroy Chamber of Commerce and Industry has also submitted an application for funding to install CCTV cameras in the Kingaroy CBD. Registrations for the Kingaroy Community Camera Alliance can be made online, or fill out the brochure (download link, below) and drop it into Kingaroy Police Station in Alford Street. Opposition Leader and Member for Nanango Deb Frecklington congratulated Kingaroy police on the launch of the Community Camera Alliance. “The Community Camera Alliance aims to create community confidence and a stronger relationship between the police and residents,” Mrs Frecklington said. “I would really like to congratulate and thank Snr Sgt Tierney and his team for taking this positive step in helping to tackle crime in our region. “Our local Police Officers do an amazing job and this register of local CCTV cameras will definitely assist in crime detection and prevention. 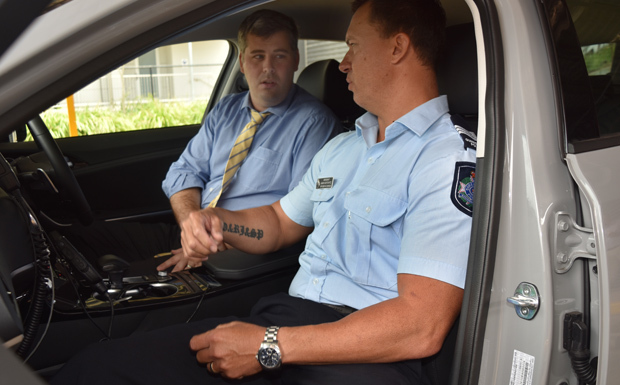 “The Police Minister has to realise, however, that while our community welcomes this initiative, we still need more police permanently assigned to the South Burnett. 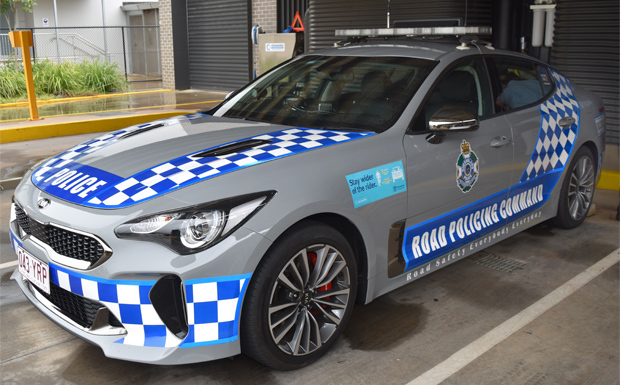 The visit by the Police Minister was also an opportunity to officially hand over a new Kia Stinger to the Dalby-Burnett Road Policing Unit. Mr Ryan said this was the first time Kia vehicles had been used by police.